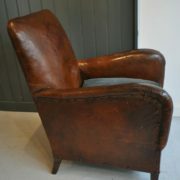 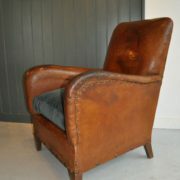 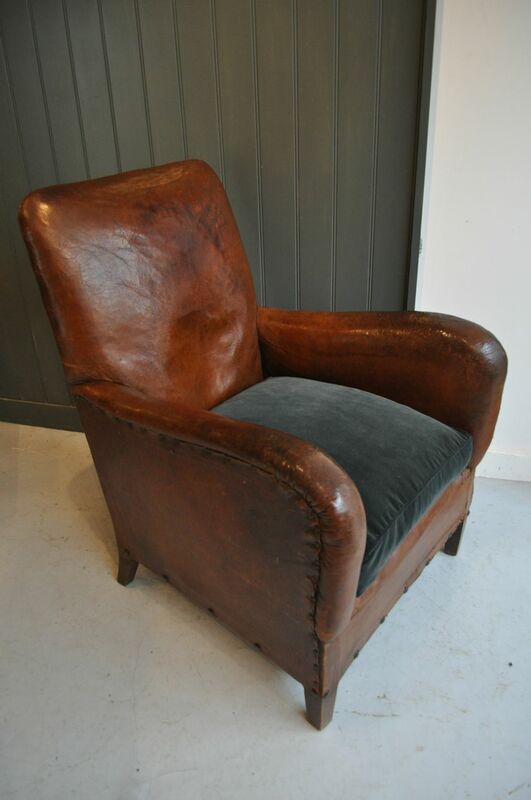 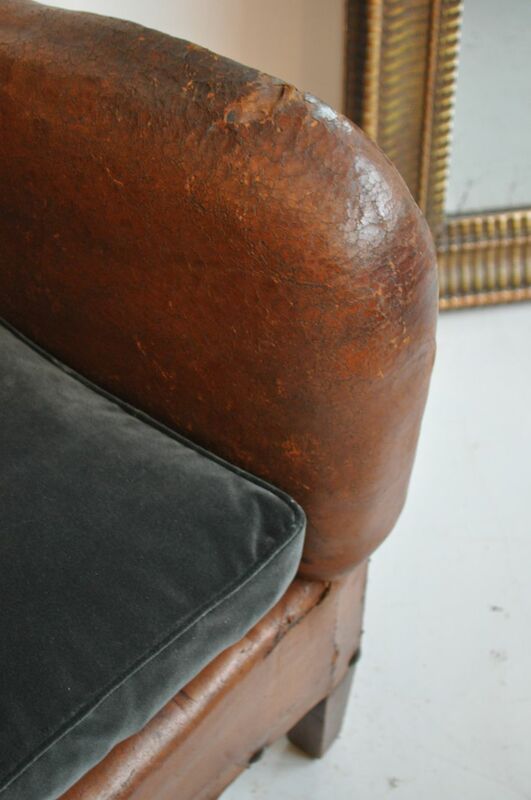 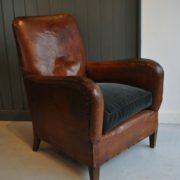 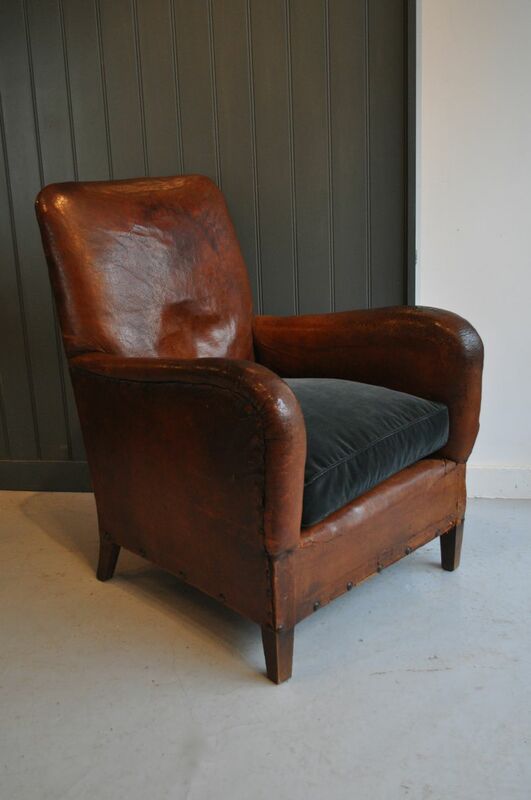 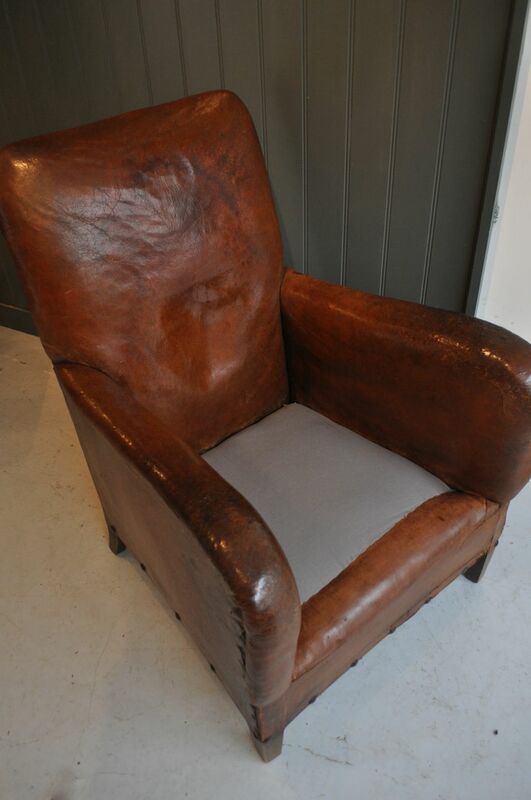 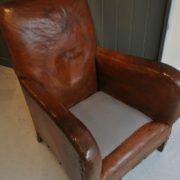 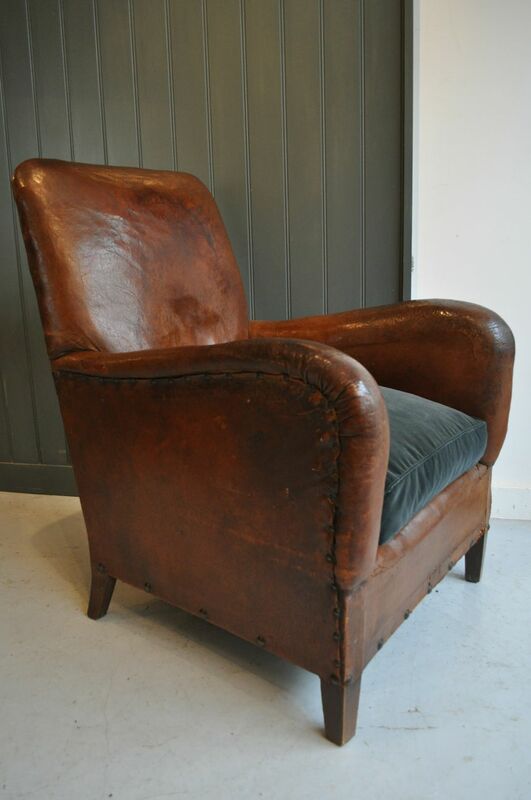 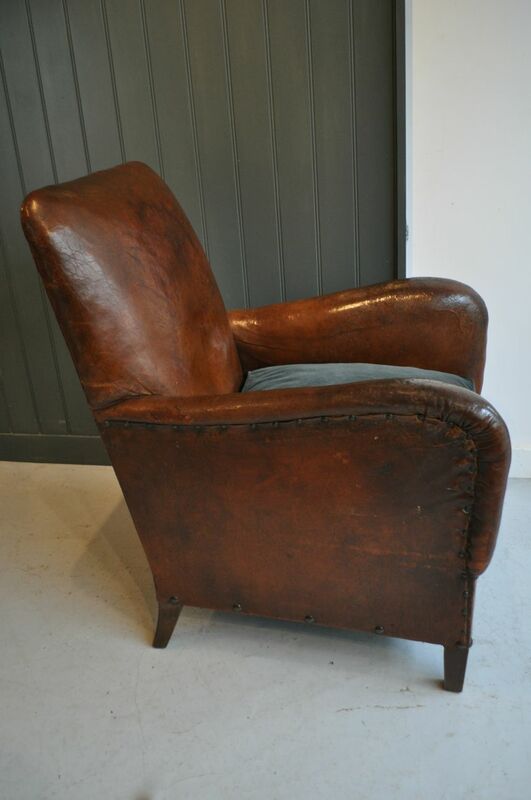 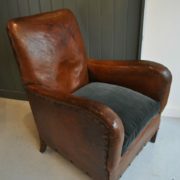 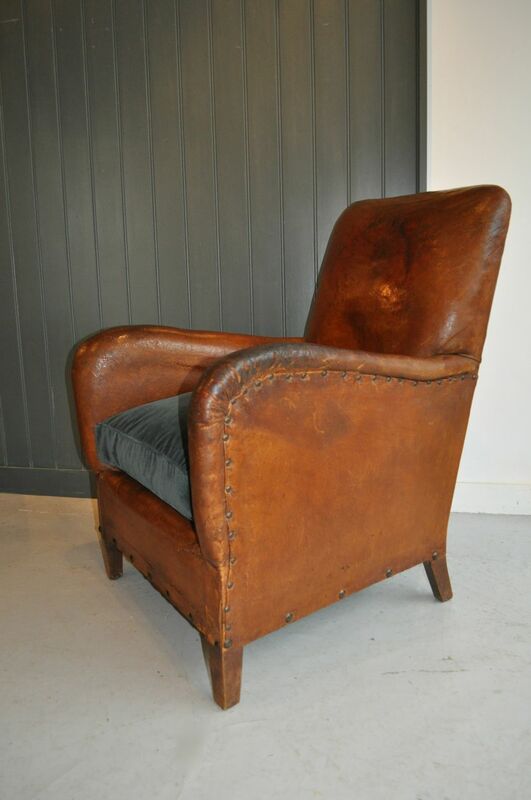 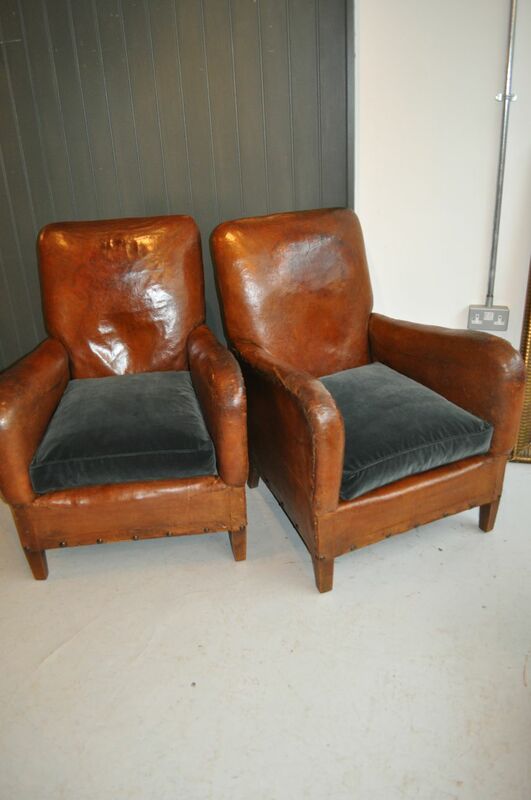 Pair of handsome leather armchairs with studding to perimeters and a good colour and patination to the leather. 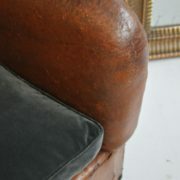 Some wear and minor repairs in keeping with age, and new feather cushions in slate grey velvet. 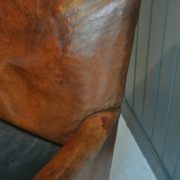 Newly renovated seats, with both a new top and bottom cover. 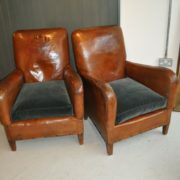 A good looking and comfortable pair. 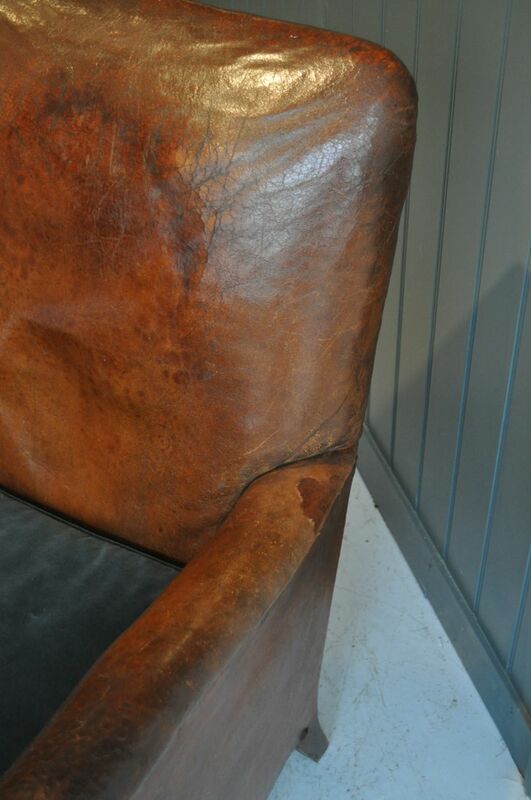 Seat height is approximately 41cm.